Weight loss is one of the most common health goals. A low-calorie meal plan can help you achieve this goal. One such plan proposes 1,500 calories per day—but this may not be the appropriate amount for everyone. Here, we will help you determine if a 1,500 calorie diet is right for you and offer tips on how to find success on a low-calorie diet. What Is a 1,500 Calorie Diet? Calories are units of measurement for energy that we eat and use. Men burn more calories per day than women. Larger people burn more calories than smaller people. Younger people burn more calories than older people. The average woman needs approximately 2,000 calories per day to maintain weight, while the average man needs 2,400 calories per day. To lose weight, you must eat fewer calories than you expend. Even popular diets that don’t necessarily require calorie counting (like the ketogenic diet) work because they create caloric deficits. However, unlike many of these popular diets, a 1,500 calorie diet doesn’t restrict specific foods. You can eat a variety of foods as long you don’t exceed 1,500 calories per day. Most people who consume 1,500 calories per day will lose weight at a healthy rate, with a couple of exceptions. People who are very small need even fewer calories for weight loss. Meanwhile, larger or very active people will require more than 1,500 calories, which is too big a calorie deficit. Use this calculator to estimate your daily calorie needs. 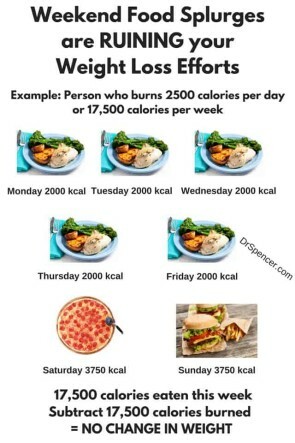 Keep in mind that all calorie equations are estimates. After a couple of weeks at 1,500 calories, you may find that you need to adjust your calories to support your goals. Summary : A 1,500 calorie diet works by cutting calories, provided you’re burning more than 1,500 calories per day. It may or may not be appropriate for you, depending on your size, gender and activity level. You can estimate your calorie needs using an online calculator. It’s difficult to follow a calorie-controlled diet without counting calories, at least for a few days. Aside from having a registered dietitian design a detailed meal plan for you, calorie counting is the best way to know if you’re staying within your daily calorie goals. This breakfast totals 952 calories, or 63% of your daily calorie goal on a 1,500 calorie diet. Now that you have this information, you can tweak your portion sizes or eliminate some toppings to save calories for later. In fact, one of the great benefits of calorie counting is that it allows you to still enjoy some of your favorite foods. This can make it easier to stick to the diet for the long haul. Also, from a scientific standpoint, this type of diet works. Studies have linked calorie counting with better weight control over time (1, 2, 3). Apps like MyFitnessPal and LoseIt include large food databases that make it easy to count calories. However, calorie counting isn’t for everyone. It’s not appropriate for anyone who’s struggled with disordered eating as it may trigger obsessive behaviors. Others may find it too time-consuming or tedious. Summary: Calorie counting helps you make informed choices about foods and portion sizes while allowing you to continue eating some of your favorite foods. Most people attempting a 1,500 calorie diet should count calories for at least a few days. However, those who’ve struggled with an eating disorder should avoid counting calories. A 1,500 calorie diet should include plenty of dietary protein. Higher protein diets have consistently been found to promote weight loss because protein is highly satiating. In one study on 19 adults, participants reported significantly greater satisfaction when their protein intake was doubled, even when they consumed fewer calories. What’s more, participants reduced calories by an average of 441 calories per day just by doubling their daily protein intake. This may be a small study, but the satiating effects of protein have been well-documented (4, 5, 6). Exact protein needs vary by individual, but most healthy people can tolerate up to one gram per pound of body weight (150 grams for a 150 pound person) or more for short-term weight loss efforts. High protein diets can be toxic for some people with chronic kidney disease (CKD). Those with CKD should consult a doctor or dietitian about the healthiest diet for them. At the very least, aim for one serving of lean protein at each meal. Good sources include lean meats, lentils, tofu, low-fat dairy and whey protein powder (7). Summary: Protein helps with weight loss because it’s a highly satiating nutrient. High protein intake on a 1,500 calorie diet will increase your odds for success by reducing hunger. Aim for at least one serving of lean protein at each meal, but feel free to eat more if you have no major health problems like chronic kidney disease. You may find yourself a little hungry when following a 1,500 calorie diet, especially at first. This should improve as your body adjusts to fewer calories. However, there are lots of ways to stay satisfied on a calorie-controlled diet. It’s common to want food when you’re bored, sad, stressed or lonely. But emotional hunger can sabotage your weight loss efforts. It’s helpful to have a list of strategies that help you manage emotions like stress that you try to satisfy by eating. You might try meditating, taking a walk or calling a friend first if you aren’t showing signs of true physical hunger. You may also want to simply drink water. Oftentimes, we may think we’re hungry when we’re really just thirsty. Studies link adequate fiber intake with lower body weight, but most people don’t eat enough of it. It’s been argued that fiber is highly satiating and fills the belly, making it difficult to overeat and help with weight control. However, some studies have challenged this idea (8). Either way, fiber-rich foods tend to be low in calories and are often packed with other nutrients. Men should aim for 31-38 grams per day, while women need 20-25 grams per day. It’s more difficult to make healthy meal choices on the fly. In fact, one large study of more than 40,000 French adults linked meal planning with a lower risk of obesity (9). Taking some time every few days to plan your meals can minimize impulsive splurges and increase your odds for success. It can also save you money. 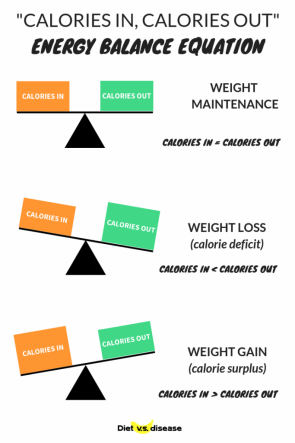 It’s much more difficult to lose weight if you routinely eat above your calorie goal. If you often find it difficult to meet that calorie level everyday, you may want to evaluate if a 1,500 calorie diet is right for you. High-volume, low-calorie foods fill up your stomach and are more difficult to overeat. Think grapes over raisins, apples over apple juice, and air-popped popcorn over chips. Non-starchy vegetables are always a great choice as well. It’s easy to overlook calories from condiments, since we tend to use them in smaller amounts. But condiment calories add up quickly. Just one tablespoon of mayonnaise, for example, contains 94 calories. If you underestimate and eat twice that, you’re eating nearly 13% of your daily calories on mayonnaise alone. Learn the calorie content of your favorite condiments, and measure them out until you get a sense of proper portion size. Intermittent fasting has gained popularity as a means to cut calories. Formal protocols call for eating within an 8-hour window each day, or severely limiting calories on certain days of the week. You don’t need to strictly follow intermittent fasting to reap some of its benefits. Simply skipping breakfast when you’re not hungry or closing the kitchen after dinner each night can make a big difference. A latte at breakfast, a juice at lunch and a 12-ounce beer at dinner could cost you nearly one-third of your daily calories. You’ll feel more satisfied on a 1,500 calorie diet if you save your calories for food. Stick to unsweetened coffee or tea, water, sparkling water or other calorie-free drinks. Non-starchy vegetables – like cucumber, cherry tomatoes, celery, and bell peppers. Look at the menu and decide what you’ll order in advance. Consider an appetizer instead of an entree. Look for menu items with built-in portion control, like kids meals or starter courses. Ask for a to-go box when your entree arrives and box up half of it. Ask to swap your fries for salad or vegetables, or at least swap half so you get a smaller serving of fries. Eat your non-starchy vegetables and your protein first, and stop eating when you’re no longer hungry. Share a meal with a friend. Avoid alcohol and sugar-sweetened drinks. Request that sauces and dressings come on the side, and use only a small amount. Eat burgers and sandwiches open-faced. Avoid fried and heavily sauced foods. Summary: It’s common to feel hungry when you count calories, especially at first. 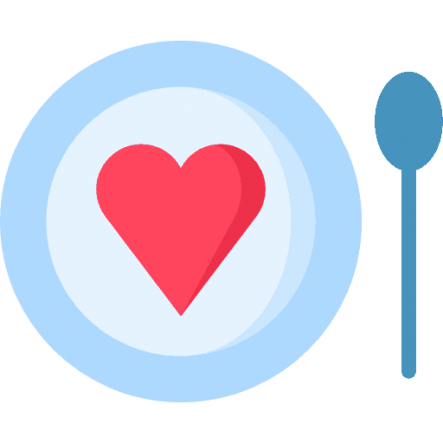 There are many strategies to minimize hunger and avoid overeating, like getting enough fiber, planning your meals, staying consistent and cutting back on condiments and caloric beverages. Making an action plan for restaurants and filling your cabinets with low-calorie choices also helps. Diabetes is a common medical condition that causes abnormally high blood sugar levels and other complications. Many people with diabetes require insulin and other medications to manage blood sugar levels. However, diet is a first line of treatment for those with type 2 diabetes. The traditional dietary approach to diabetes has been a consistent carbohydrate diet that includes 30-45 grams of carbohydrate at each meal (12). But small, newer studies suggest that very low-calorie diets can help reverse type 2 diabetes. In one study, 30 adults with type 2 diabetes followed a very low calorie diet of 700 calories or fewer per day for 8 weeks. Not all study participants responded to the changes, but 40% of those who did achieved remission for 6 months or more (13). It’s important to note that this study was conducted under close medical supervision. Very low calorie diets aren’t appropriate for most people, and it’s not fully understood how they might work with diabetes. It’s possible that the volunteers responded to lower carbohydrate intake. Studies also show that significant weight loss can help reverse type 2 diabetes, so it may be possible to see great results without drastically slashing calories. As such, a 1,500 calorie diet may be appropriate for those with diabetes who need to lose weight (14). Keep in mind that changing your calorie intake may alter your medication needs, including your insulin doses. It’s important to speak with your doctor before making significant changes to your diet. Summary: Cutting your calories may help reverse diabetes, either by lowering daily carbohydrate intake or boosting weight loss. A 1,500 calorie diet may be helpful if it creates a large enough deficit for weight loss. Always speak with your doctor before making drastic changes to your diet if you have diabetes. Who Should Avoid a 1,500 Calorie Diet? A 1,500 calorie diet is a good starting point for many people with weight loss goals, but it’s not for everyone. If you want to lose weight, you need to burn more calories than you eat. Eating 1,500 calories per day may be too many for people who are petite. For example, a 50-year-old sedentary woman who is 5’2” and weighs 140 pounds would need 1,450 calories per day to maintain her weight. This means she’d likely gain weight on a 1,500 calorie diet. Smaller people may be more successful on a 1,200 calorie diet. In some cases, 1,500 calories may compromise health by creating too large a deficit. The foods we eat give us energy, but they also contribute nutrients that are key to our overall health. When we excessively restrict calories, we lose opportunities to nourish the body. A 1,500 calorie diet may fall short in vitamins, minerals, protein, fiber and other nutrients for larger adults. If you want to put on muscle, you have to eat. It’s common to want to lose fat and gain muscle, but it’s difficult to do both at the same time. A large calorie deficit can cause you to break down muscle for energy, rather than build it. High volume or high intensity training also increases your daily calorie needs. Unless you’re a very small female bodybuilder, you’ll likely need more calories to reach your goals. Eating disorders like anorexia nervosa, bulimia nervosa and binge eating disorder typically cause an extreme preoccupation with food. Those with a history of an eating disorder, or even disordered eating patterns, shouldn’t count calories or aim for a specific calorie goal. Doing so could worsen food obsessions and disordered eating behaviors (15). It’s best to consult with a registered dietitian who specializes in eating disorders. Most people think of malnutrition as being underweight. However, malnutrition can refer to an imbalance of any nutrient, regardless of body weight. 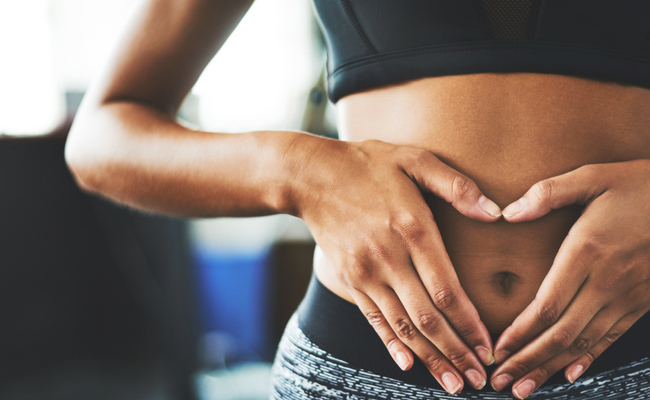 It’s sometimes caused by diet, but more commonly the product of chronic medical conditions like inflammatory bowel disease or certain cancers. Calorie restriction can worsen nutrient imbalances in those with malnutrition. It’s best to speak with a doctor or registered dietitian before making any big changes to the diet. Adherence is one of the greatest predictors of long-term diet success. You have to find a way of eating that you can stick with long-term to achieve long-lasting results. You may want to consider other options if you aren’t interested in calorie counting, or if you find it tough to get by on 1,500 calories per day. Summary: Many people do quite well on a 1,500 calorie diet, but it’s not appropriate for everyone. Those who’ve had an eating disorder or who have chronic illness should consult a doctor or dietitian before attempting it. Others may find it to be too high or too low in calories to reach their goals. Think 1,500 calories per day is best for you? Here’s a 7-day sample menu. Calories for each food are listed in parentheses. Vegetarians and vegans can follow this general format, substituting plant-based proteins like tofu, tempeh, seitan and soy protein powder in calorie amounts equal to those in parentheses. Summary: A 1,500 calorie meal plan can include a variety of foods. Vegetarians and vegans may follow this general template, substituting plant-based proteins in equal calorie amounts. Should You Try a 1,500 Calorie Diet? A 1,500 calorie diet is a good starting point for many people with weight loss goals. It’s more flexible than popular diets like paleo and keto, because it allows for a wider variety of foods. Based on the average size of adults, it’s a more realistic calorie goal than a 1,200 calorie diet. That said, it’s certainly not for everyone. Those who’ve had an eating disorder should avoid setting calorie goals or counting calories. Both behaviors could worsen any underlying obsessions about food. Consuming 1,500 calories is also probably too much for very small people, but not enough for larger people or those looking to gain muscle mass. Also, keep in mind that calorie restriction increases the risks for nutrient deficiencies. A registered dietitian can help you plan a long-term, well-balanced 1,500 calorie diet if you’re falling short on any key nutrients. If you decide to try a 1,500 calorie diet, there are a few steps you can take to increase your odds for success. You’ll want to count calories for at least a few days so that you can make any necessary adjustments to your food choices and portion sizes. High protein intake will help ward off hunger and boost the rate of weight loss. Finally, you’ll want to stock up on low-calorie foods at home and make an action plan for meals out of the house. The sample 7-day meal plan above can help you get off to a good start. everything in moderation works, too! I would think common sense would do just as well. Here we go again with the calorie counting and recommendations of processed foods...string cheese?...really?. Please explain Joe why I lost weight by increasing my intake of healthy fats and therefore my daily calorie count. At least he mentioned fasting which is very healthy but then he states that large adults may suffer from fasting. It's the opposite. The longest fast in history was 382 days of consuming only water. The subject weighed over 400lbs and had multiple medical conditions but when he was done, he weighed around 180lbs and all his health issues had cleared up. When you fast, your body burns fat for fuel instead of sugar and uses its energy to heal the body.